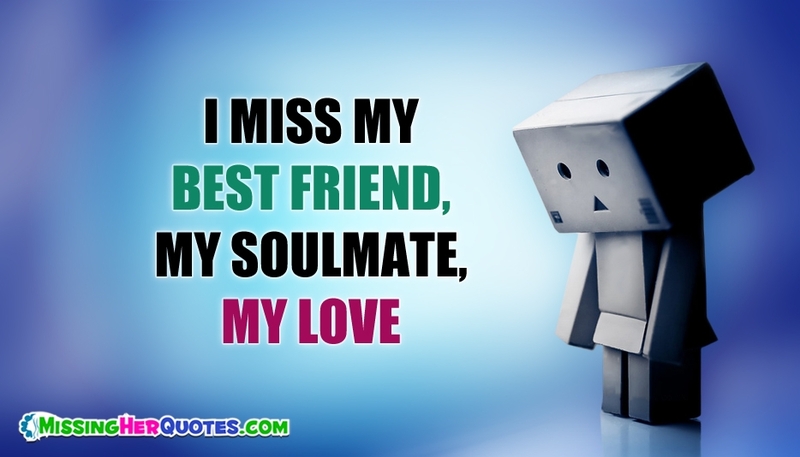 A lovely message "I Miss My Best Friend, My Soulmate, My Love" on a cute ecard to share your emotions with your girlfriend/wife. Pass on this card to her and make her feel the pain of yours. Let her know how much you miss her through this lovely ecard.